People measure what matters. Whether it's your salary, the pace of your last run, or your house’s square footage, the link between your treasure and your chest is part of what makes you human. We see it clearly when Jesus said, “Where your treasure is there your heart is as well.” (Mt. 6:21). One thing that matters most to Jesus is disciple making. The priority Jesus placed on making disciples is hard to overstate. He preached to the masses, performed miracles in front of multitudes, developed many, but he discipled just a few. He expected them to be like Him (Luke 6:40) and to do more than He did (John 14:12-14). Making disciples is so important to Jesus, that His final command was to, “.…Make disciples of all nations....” Despite this clear command, most have bought into the lie that we can’t meaningfully obey because it’s impossible to know if a disciple has been made. Today we continue in our series “Lies We Believe” by looking at this lie: “We Can’t Know if We’ve Made a Disciple”. As unreasonable as this scenario seems, many Christians view Jesus’ final command to make disciples the same way. Our lack of clarity around both what a disciple is and how a disciple is made has led to the belief that Jesus has given us an important job that we can’t do. Mission demands measurement and the Great Commission is no exception. Believing the lie that we can’t know if we’ve made a disciple is easy because it protects us. 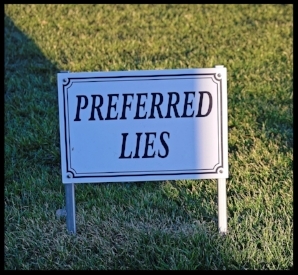 Like the other lies we’ve looked at, it’s another way to side-step the Great Commission. If we can’t measure then we can’t fail. If we can’t know that we’ve made a disciple, then we never have to make one. Many defend this belief by saying things like, “There’s no way to measure when someone has become a disciple, it means different things to different people” and “If we start trying to measure spirituality then we’ll quickly become legalistic” and “God’s the one who makes disciples, not us”. 1. Jesus wouldn’t waste His final command on something too opaque to understand. Jesus was a master communicator. He didn’t tell the disciples to do something that confused them. The Twelve received a mission was clear and they were eager to get going. So eager, that Jesus had to tell them not to start until the Holy Spirit came! (Acts 1:4-5). They had clarity on what a disciple was (they were one! ), how to make one, and the task Jesus was asking them to begin. For us, an in-depth study of the Scriptures shows us there’s plenty of clarity on what makes a disciple. 2. There’s a discernable difference between a disciple and a non-disciple. Since a distinction exists, then we can observe if a person changes from one to the other. Jesus talked about fruit thirty-two times in the Gospels’ eighty-nine chapter. Scripture shows fruit to be a key in judging spiritual maturity (John 15:1-16, Galatians 5:22-23). Understanding fruit is a key to understanding the difference between a disciple and a non-disciple. 3. The process of a non-disciple becoming a disciple is both incremental and observable. Disciples are made, not born. Scripture offers no examples of a spontaneous disciple appearing out of nowhere. Consider that even Paul was “mid-wifed” into the kingdom by Ananias (Acts 9:17). The fact that there are no accidental disciples means there’s a process or pattern that can be observed. The Reveal survey has found many parallels in the development of disciples. 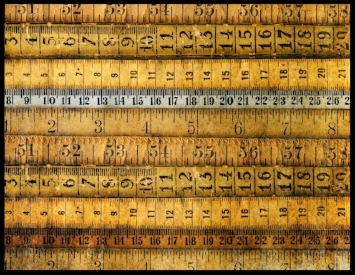 If you’re concerned about legalism, consider that measuring doesn’t have to lead to legalism. Jesus consistently called people to change specific behaviors or the way they were relating to God. The Gospel isn’t opposed to striving it’s opposed to earning. Making disciples isn’t a way to prove our worth to God, it’s the natural overflow of Jesus in our life. In other words, it’s the fruit we produce. So we can know if we’ve made a disciple, but that doesn’t mean we’ll want to know. Engaging the question about whether we’ve made one makes us vulnerable. What if our ministry efforts have been mis-aimed? or What if they’ve been perfectly aimed, but we’ve been ineffective? Facing the truth not only demands humility, it also takes courage. As you look at your life and ministry what’s true about disciple making? Have you made a disciple or many disciples? If not, why not? John 15 tells us that fruit bearing begins with fruit, then more fruit, then much fruit. In other words, it starts with one. If you haven’t started already, GO and make disciples!